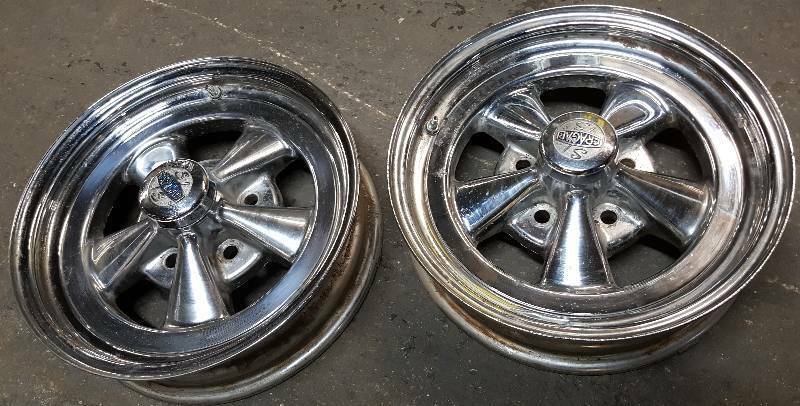 Cool old pair of the real Cragar S/S 15 X 4 chrome wheels with the 5 lug 4-3/4 bolt pattern. Chevy and most intermediate GM vehicles. 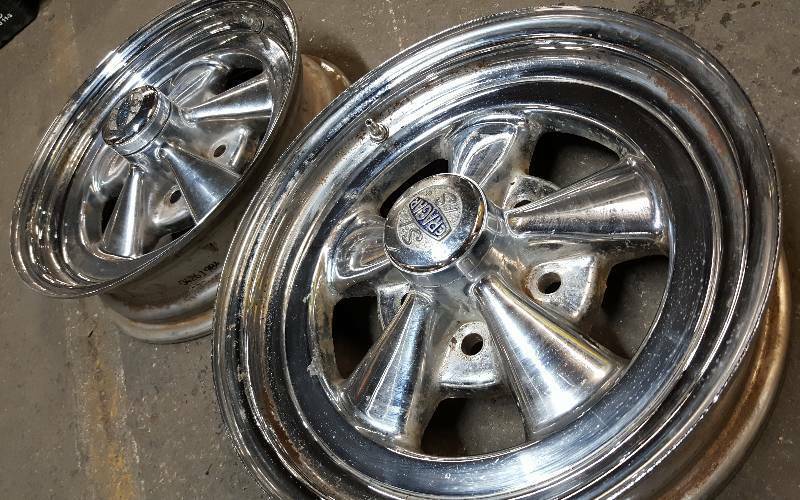 The chrome does have some pitting but with some steel wool and chrome polish you can have them looking decent on an old hot rod.